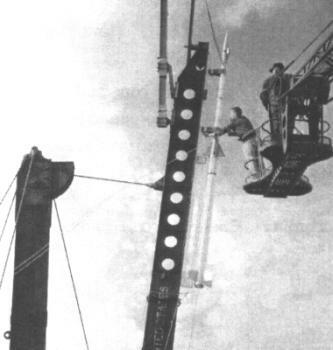 In 1959, the Air Force Cambridge Research Lab (AFCRL) had a requirement for a two-stage solid-propellant sounding rocket to loft a 4.5 kg (10 lb) payload to an altitude of 300 km (1 million ft). It contracted the University of Michigan, which turned to the newly formed company Rocket Power Inc. (RPI) to build the rocket. The Phoenix sounding rocket consisted of two stages (named Kiva and Hopi) built by RPI, which were each fitted with four tail fins. The first flight of the vehicle occurred on 21 June 1960 at the Naval Missile Test Center at Pt. Mugu. Within the next three years, the AFCRL launched at least nine additional Phoenix rockets. With a 4.5 kg (10 lb) payload, the vehicle could reach a maximum altitude of about 365 km (225 miles).